Borg 107FL f3.9 PLUS with M-Uno and EAGLE is the computerized refractor telescope perfect for astrophotography: thanks to EAGLE you can remotely control it using WiFi from any device (smartphone, tablet or computer). 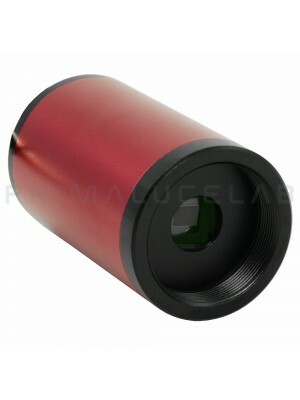 Fluorite high quality optics is corrected for largest sensors, also larger than FullFrame. 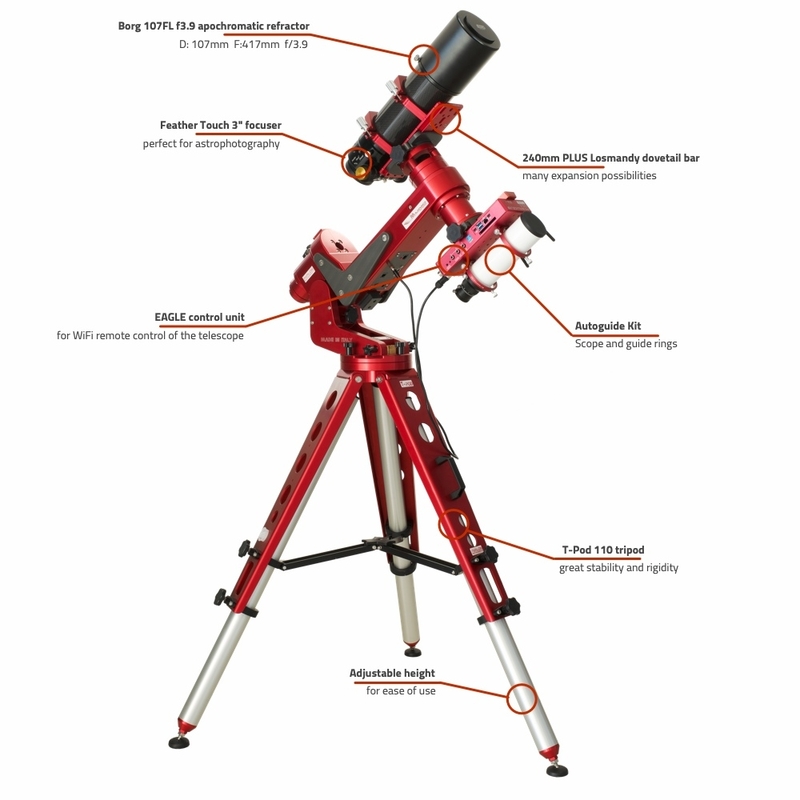 Borg 107FL f3.9 PLUS computerized refractor telescope with M-Uno and EAGLE model uses Avalon Instruments M-Uno mount that ensures better portability and tracking accuracy (and zero backlash) than normal equatorial mounts. 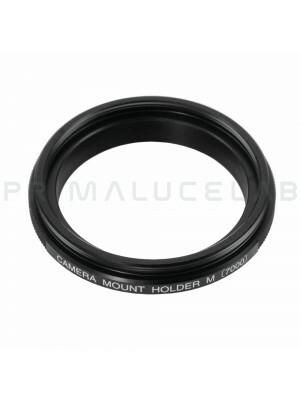 More it works without counterweights and, thanks to peculiar mono fork design, it doesn't need for meridian flip.